Hire axial fans if you require a whisper quiet, robust & portable fan that is ideal for the effective movement of large volumes of air in numerous locations after cleaning or as part of a flood or water damage restoration programme. 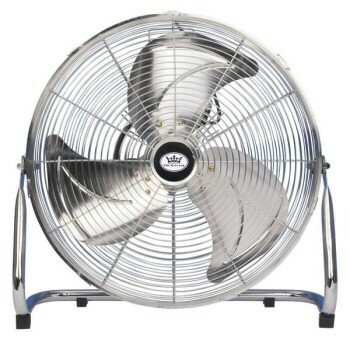 This whisper quiet, robust and portable, chrome finish fan is ideal for the effective movement of large volumes of air in numerous locations, both domestic and commercial. 18" fully enclosed, 3 blade high velocity impeller 3 speed control. Robust tilt stand for direction of air flow. Durable all-steel construction frame and fan guard with carry handle.